Come find your Happy Place and take a troll adventure with us at our Trolls Summer Camp! Get ready for some crazy colorful hair fun as we have cruise through the week. 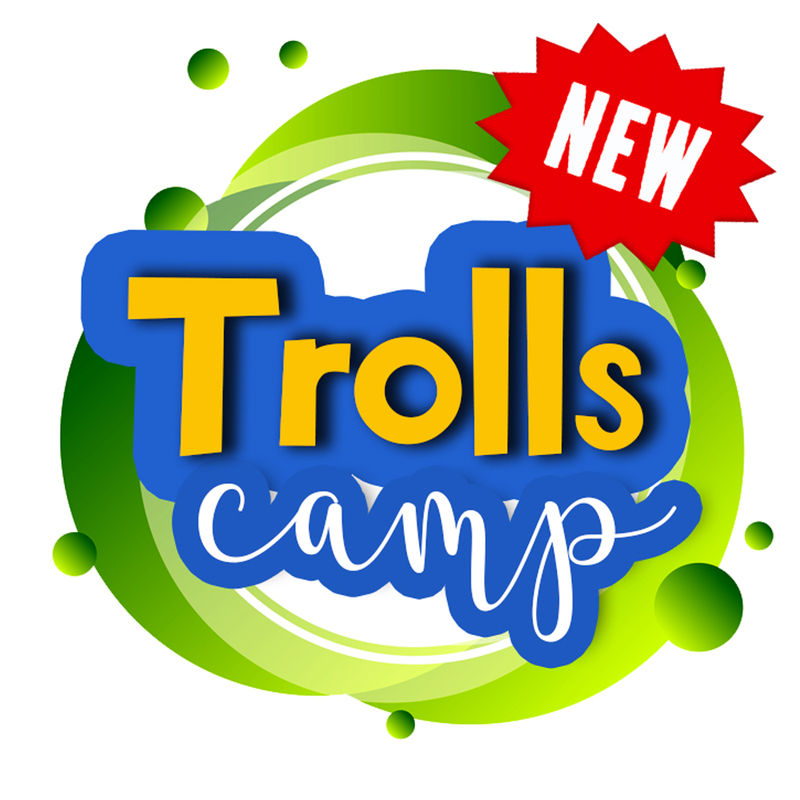 We will learn some cool dance moves and sing to the tunes of the best Trolls songs, play games, make Trolls themed arts and craft projects, and make some yummy, colorful Troll food! So get happy, get your friends, and get into this camp today! Let your child’s artistic imagination soar! 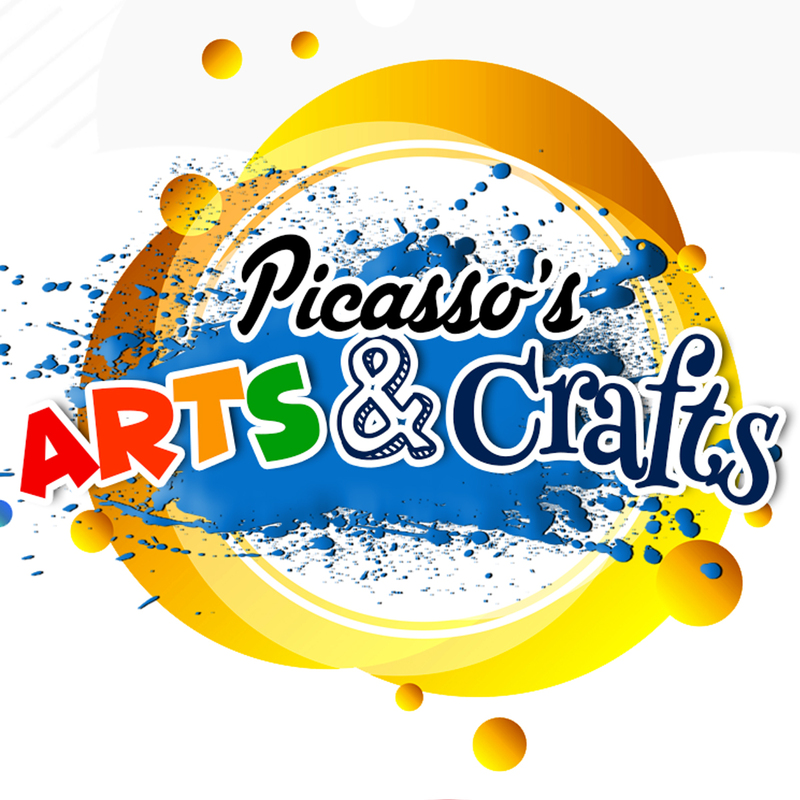 Your artist is sure to amaze you with their wondrous artistic creations: paintings, jewelry, picture frames, tie-dye camp shirts, sun catchers and so much more! 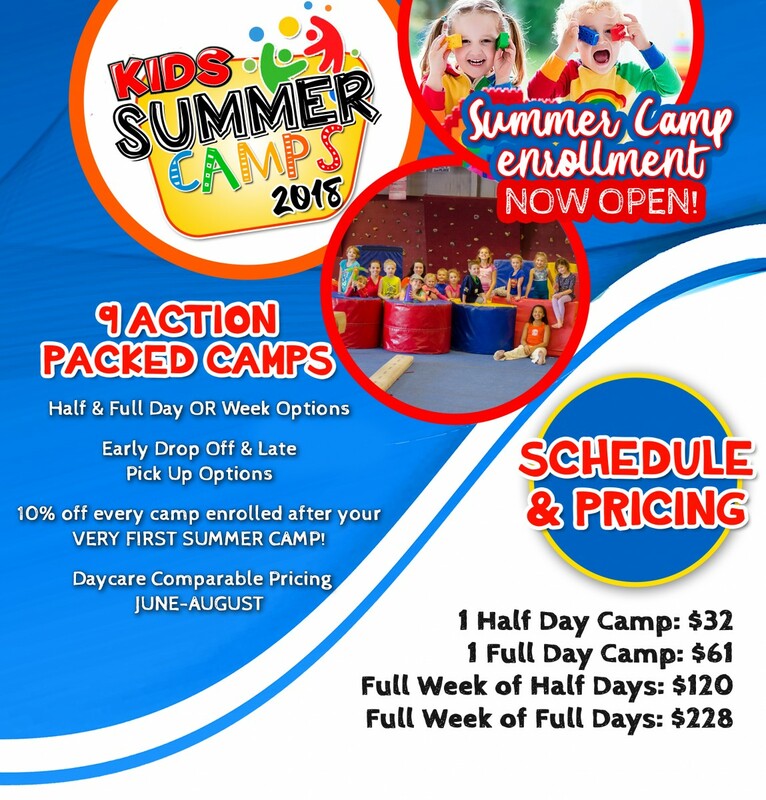 Campers will be designing and creating different projects every day and enjoying free gym time as well. We try very hard to stay as clean as possible, but there is a possibility of stained clothing, please send your camper in clothes that can get messy. 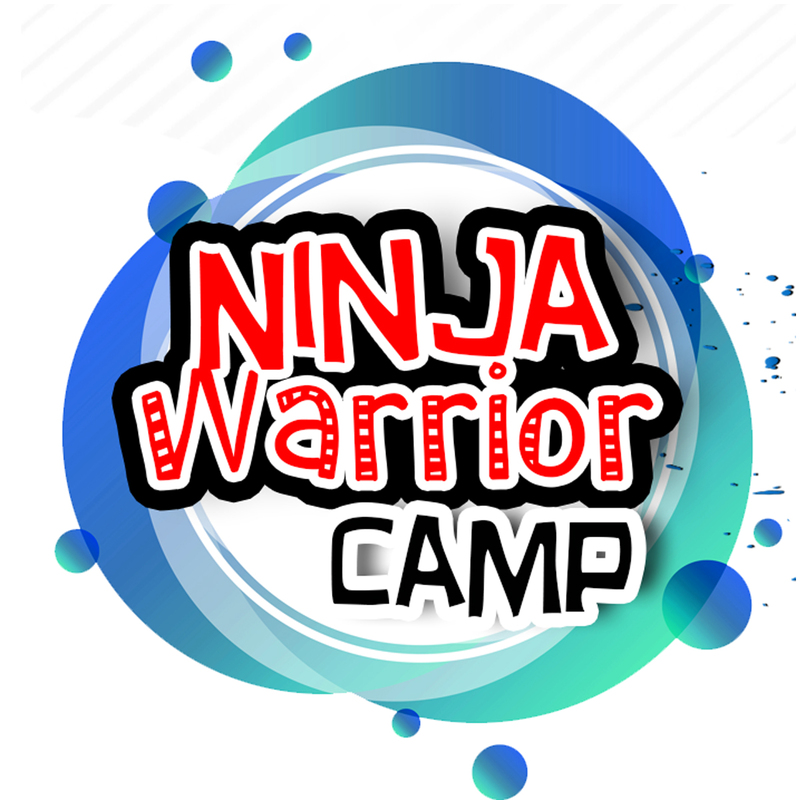 Climb, jump and swing into FUN at our Ninja Warrior Camp! Our Ninja Warriors will be tested on their balance, endurance, and strength as we take them through our ninja obstacle courses and challenge them on our salmon ladder. Each day campers will work both as individuals and in teams to pass different tests and courses in a timely manner earning points to move on to more difficult ones. Is your child running around your house, up and down, and all around? 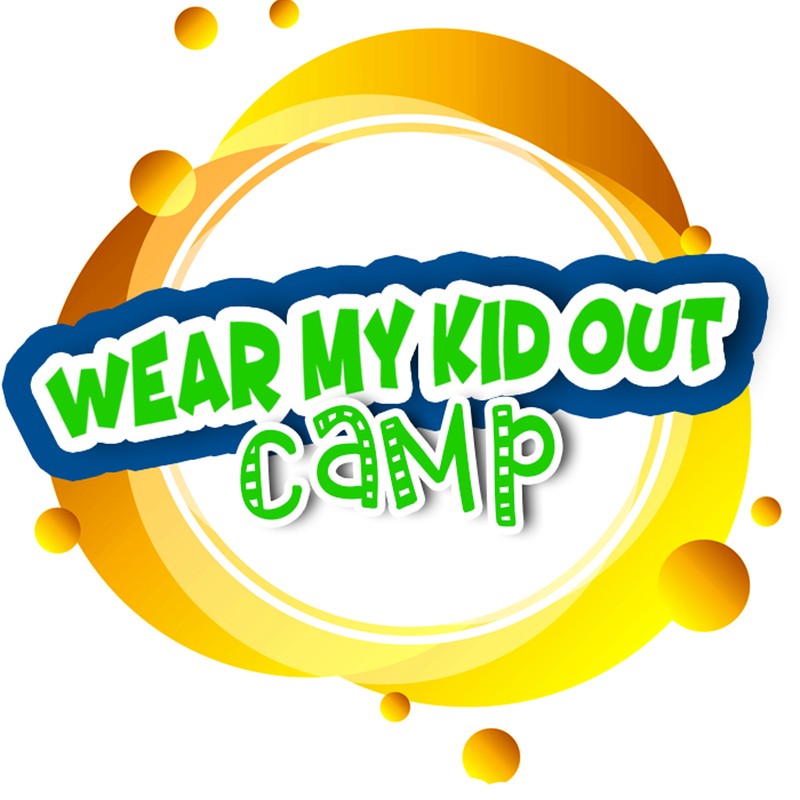 Let them come run with us at Wear My Kid Out Kids Camp. We have a jam packed itinerary that is sure to tucker out the most enthusiastic child. Our itinerary of fun will include dodge ball, fort building, tag, hide-n-seek, kickball, arts & crafts, science experiments, cooking, and of course outside activities too! 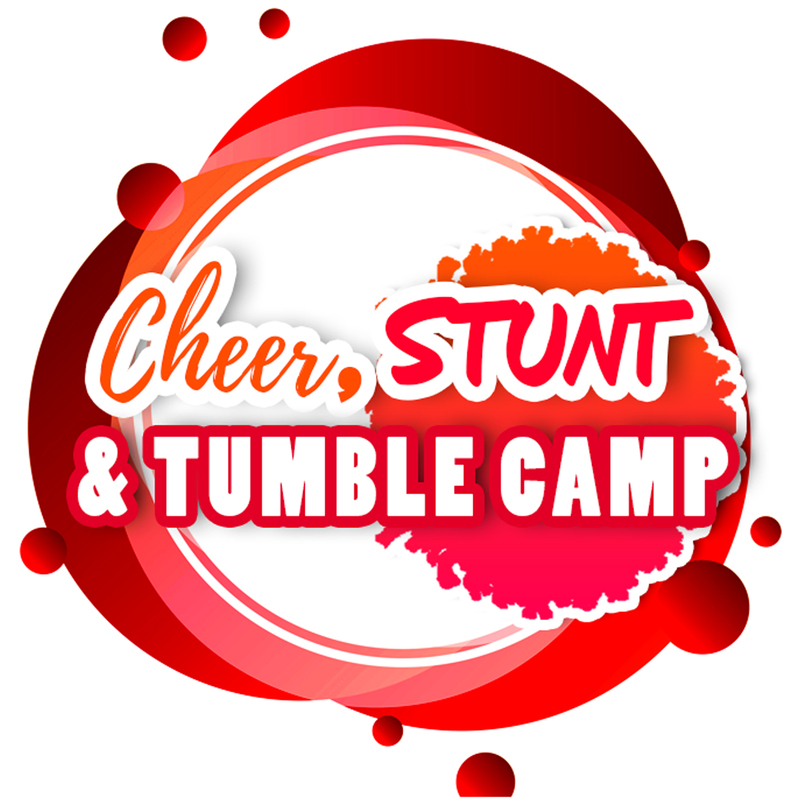 Cheer, Stunt & Tumble Camp is all about experiencing one of the fastest growing sports in the country: CHEERLEADING! Whether your child is already on a team, wants to prepare for a school team, or simply wants to have some fun this camp is perfect! In this high-energy camp, cheerleaders will learn to perform jumps, motions, tumbling, and stunts, as well as learn about showmanship and teamwork. Do you have a LEGO lover in your house? Let them tap into their imagination with tens of thousands of LEGO! Campers will learn, build and play using our most popular themes by having a day of city builders, dinosaurs, pirates, and more. 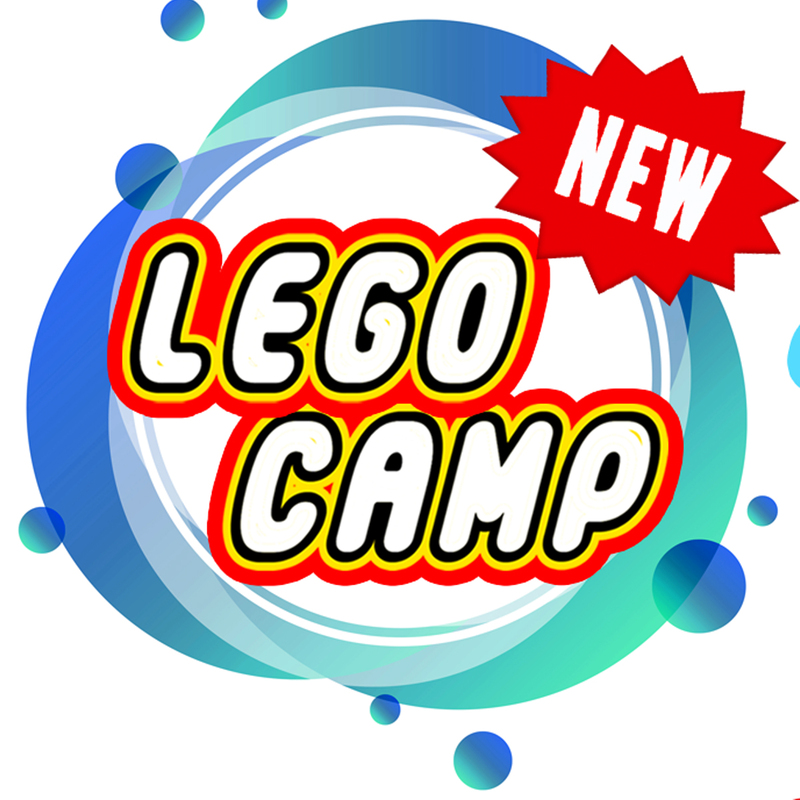 Kids will use their imaginations to create LEGO-themed crafts and interact with all sorts of LEGO contraptions. Kids will have a blast with these themed activities and snacks! A pinch of this and a dash of that! Does your child like to spend time in the kitchen with you, helping you cook? If so, this camp is perfect for them. They will spend the entire week learning how to make easy, no bake meals with a hands-on opportunity to cook. All ingredients are provided. 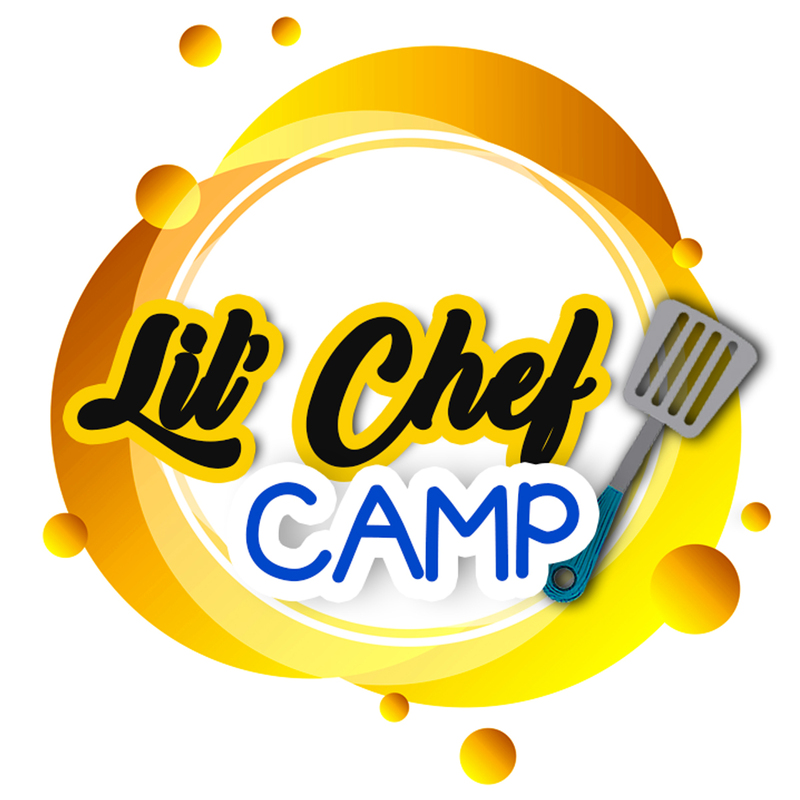 All cooking campers will leave with their own cookbook at the end of camp on Friday, complete with their favorite recipes! Nerf Gun..CHECK! Ammunition..CHECK! Plan of attack..CHECK! All that is missing is you, Nerf Warrior! Your child’s excitement will not be contained during our Nerf War extravaganza: featuring tactical training, team building games, target practice and adventures through our geometric maze. 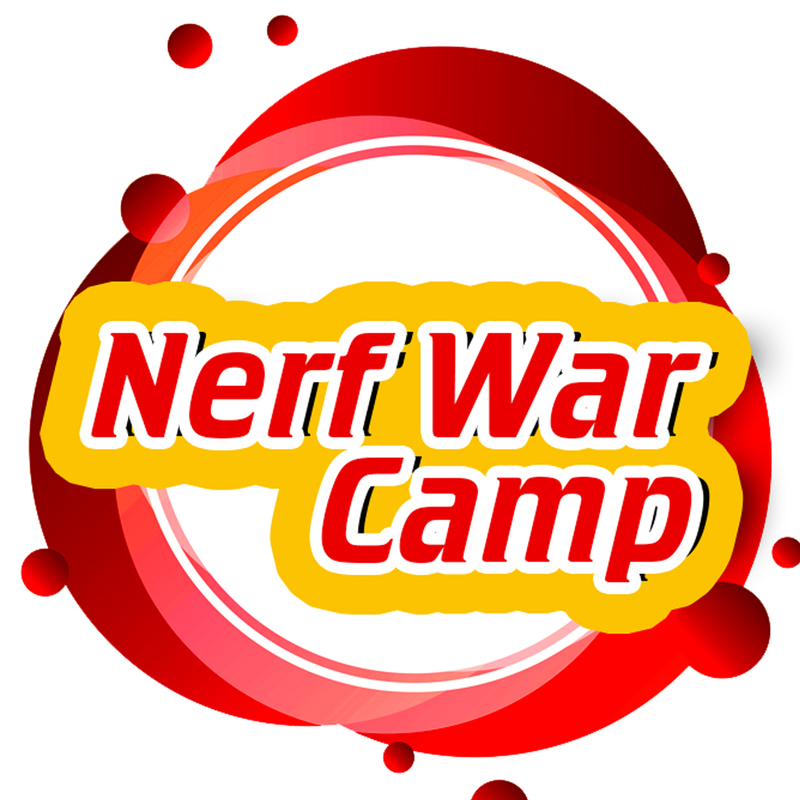 We will provide some Nerf guns and ammunition for use, but to enhance the fun please bring your favorite Nerf gun to camp. 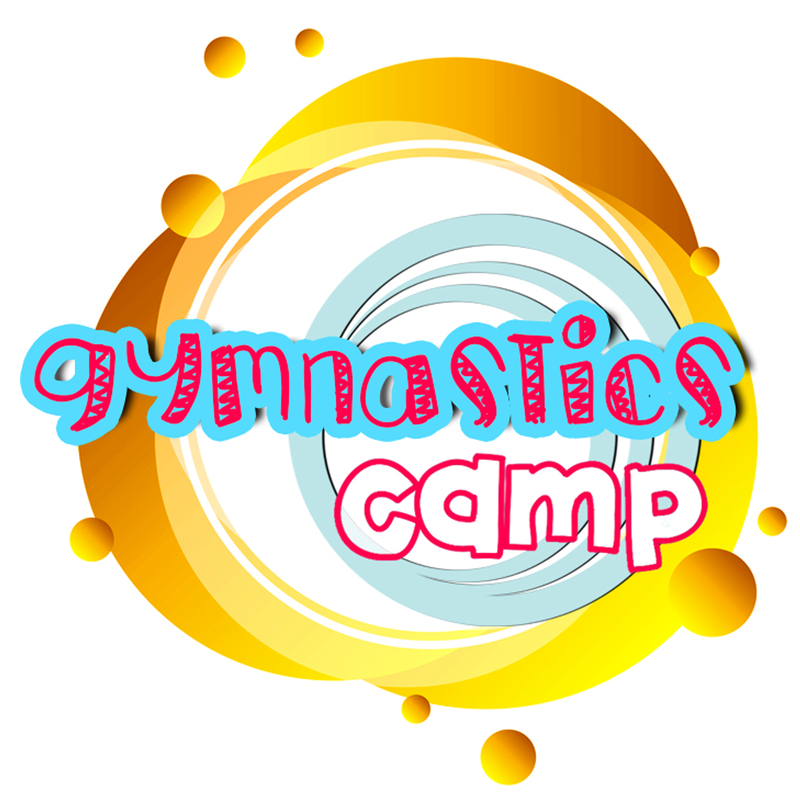 Tri-County offers a super “fun-tastic” gymnastics camp that will surely bring out the gymnast in everyone. Campers will work towards specific goals on all events as well as participate in some energetic games along the way. Our staff will introduce new tricks, new skills, and new routines to challenge every camper to new heights.